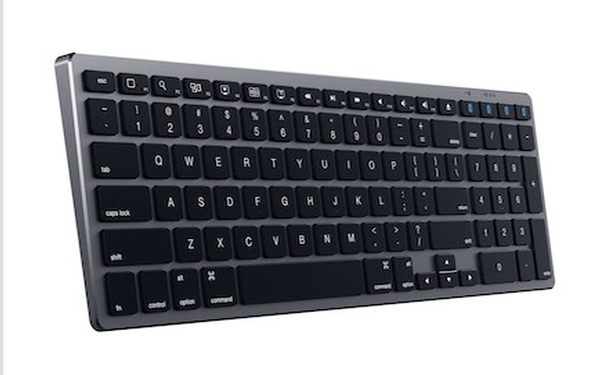 In my review of Ergotron’s WorkFit-Z Mini, I outlined the benefits of a more ergonomic approach to working on the computer, including mixing it up with periods of standing. And there are a lot of different ways to do that. 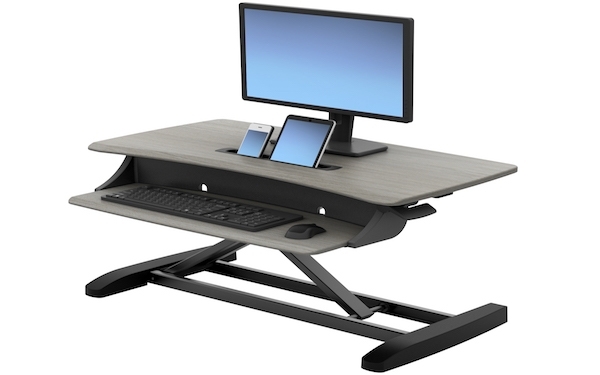 A great new entry in the sit/stand workstation market is the QuickStand Eco from Humanscale, one of the leaders in ergonomic solutions. The Eco is a honed down version of the award-winning QuickStand, with a compact, easy to use design that’s perfect for tighter spaces like dorm rooms. Available in black or white, the Eco has a sleek, clean look, and unlike a lot of sit/stand solutions, won’t take over your entire desk. One advantage the Eco has is the ability to set monitor height independently from the work surface—essential if you suffer from neck pain (or want to avoid it). The unit can be configured for either single or double monitors (as long as they’re VESA mount compatible). Or, if you prefer to work without a separate monitor, you can set your laptop on the work surface. You’ll still have plenty of room for your other essentials—a mouse, notes, phone, coffee. Even with the unit’s overall compact design, Humanscale didn’t skimp on surface real estate. It’s clear that a lot of thought went into all aspects of the Eco’s design. 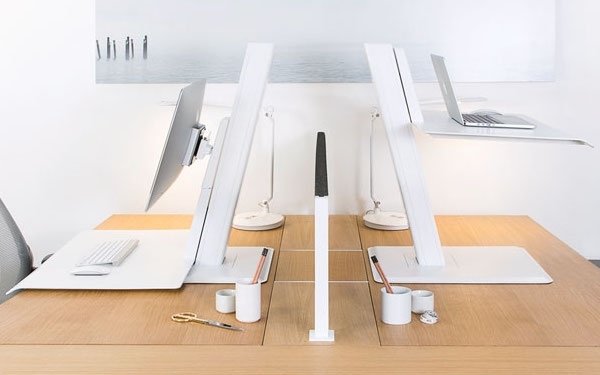 With its self-locking mechanism there are no levers or buttons required to switch between sitting and standing. The transition is seamless. In fact, everything about the unit is pretty effortless, right down to the initial set up. No need to worry about any bolting, clamping or drilling. Just tighten a few screws and you’re on your way to healthier work habits.